Luc Frieden (LLM ’88), is one of our founding members, politician, lawyer and business executive. He is a Partner at Elvinger Hoss Luxembourg Law, and has held several posts in the cabinet of Luxembourg, including as Minister for Justice (1998–2009), Minister for Defense (2004–2006) and Minister for Finances (2009–2013). Mr. Frieden is also a member of the Trilateral Commission. Please join us for a friendly and informative dinner/talk. 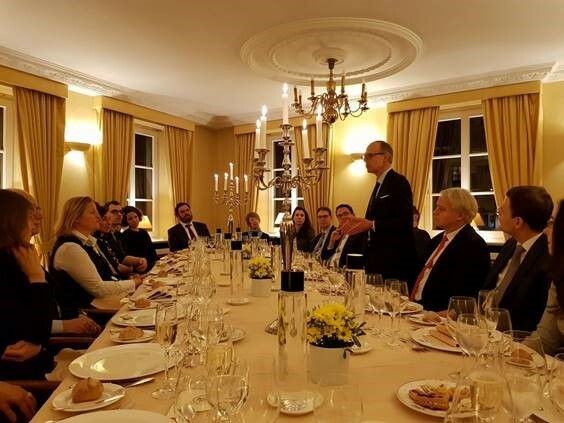 First Harvard Alumni Association get together of 2018: Interactive discussions with Luc Frieden, ex minister of finance, ex minister of defense, ex minister of justice and Harvard alumnus on Brussels, Europe, politics, and differences between business and politics. Interesting views from a high caliber speaker and the key message is to better communicate the many advantages of the European co-operation to foster EU wide support.